Through our extensive research, WLC has identified a widespread business need for the development and support of women leaders. Successful organizations recognize this as a necessity for long-term business growth. 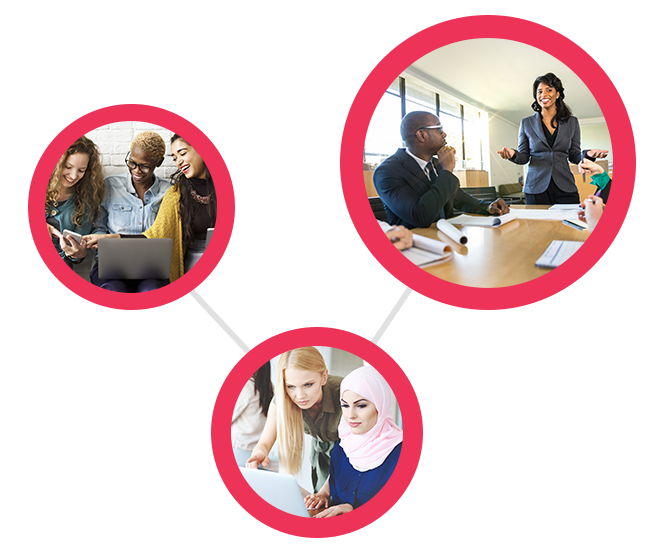 Make an immediate impact on the women in your organization with these turn-key, meaningful CONNECT, LEARN AND THRIVE development packages, which include some of our most popular and successfully applied learning resources. WLC Membership offers more exciting opportunities to build professional relationships and develop vital skills within a supportive community. Gain access to WLC events, virtual learning and preferred pricing on training. Compare the benefits of these popular packages. Choose the package that’s right for your business! If you are interested in a WLC Package, fill out the form below and a representative will contact you shortly. You may also contact a representative by calling 877-566-9441.